Un. Believe. Able. View !!! 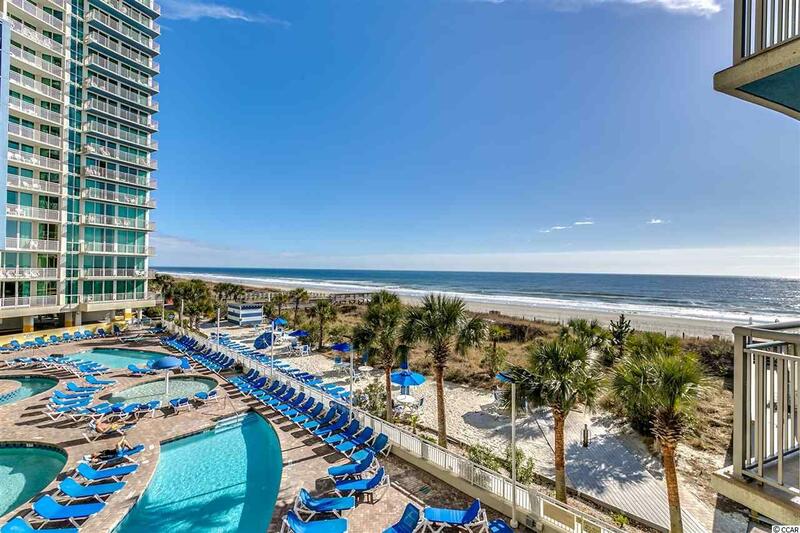 #228 Avista is a DIRECT OCEANFRONT 2 bedroom / 2 full bath condominium in one of North Myrtle Beach, South Carolina's most popular resorts - Avista Resort, located in the heart of the Ocean Drive section. # 228 is one of the RARE 2 BR floor plans where the living room AND the owner's suite are facing the ocean (so you can wake up and see the ocean!). This 2nd floor (there is a ground floor and a 1st floor so this is equivalent to a 3rd floor condo) condo features 10' ceilings (unlike the higher floor condos in this building which feature lower ceilings); a full kitchen with refrigerator, microwave, stove/oven, dishwasher, and bar counter; a newer Bosch washer/dryer; a sleeper sofa; a king bed in the owner's suite and 2 double beds in the guest bedroom. Both bathrooms feature tiled floors, pedestal sinks, and shower/tub combos, with the owner's suite featuring a large garden tub. 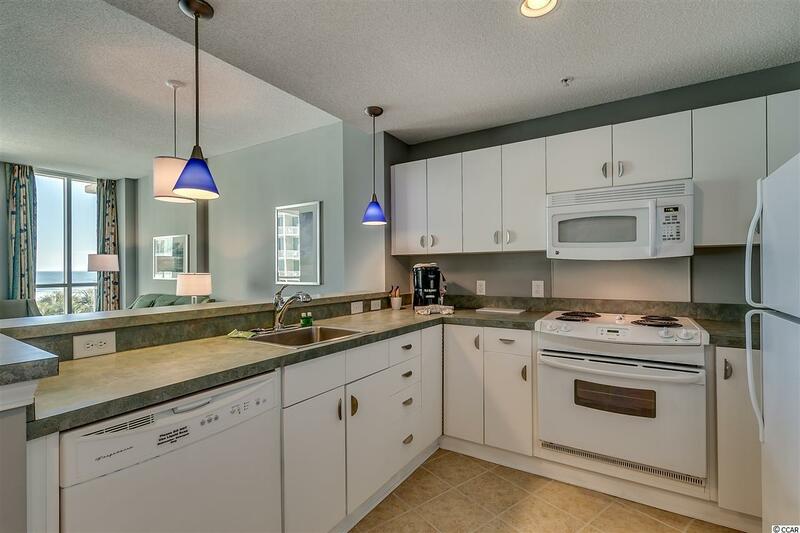 This contemporary condominium was built brand new in 2005 and has wireless internet access within the condo along with new flat-screen TV's. The current owners have also recently installed a brand NEW queen-sized sleeper sofa as well as all new mattresses on all of the beds. There are also new lamps inside the condo and new living room and bedroom artwork. 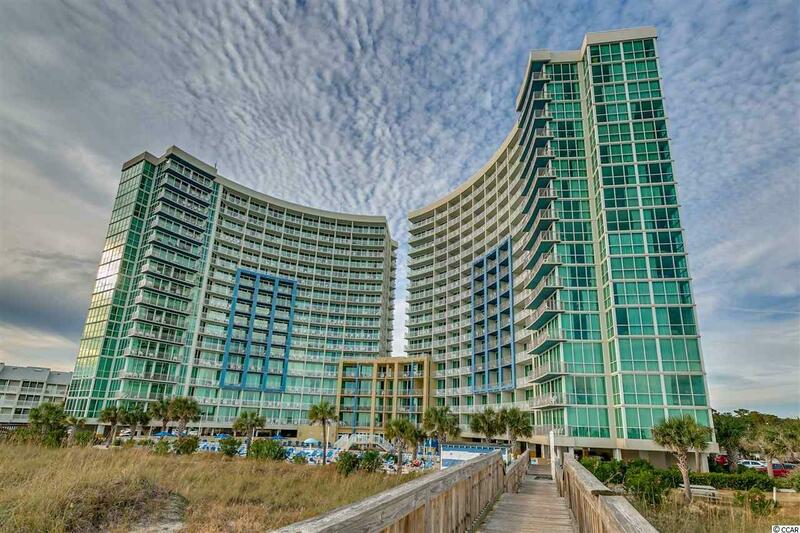 The Avista is one of the more modern buildings in this area with a contemporary architecture unlike any other building along the 60 miles of the Grand Strand coastline. This full-service resort features all of the amenities you'd expect in a luxury oceanfront property including: a bell stand and porter service; 2 outdoor pools, 1 lazy river, 1 kiddie pool, and 2 hot tubs; 1 indoor heated pool, lazy river, and hot tub; fitness center; convention and event facilities; onsite bar/lounge; interior heated and cooled corridors; and an onsite restaurant. 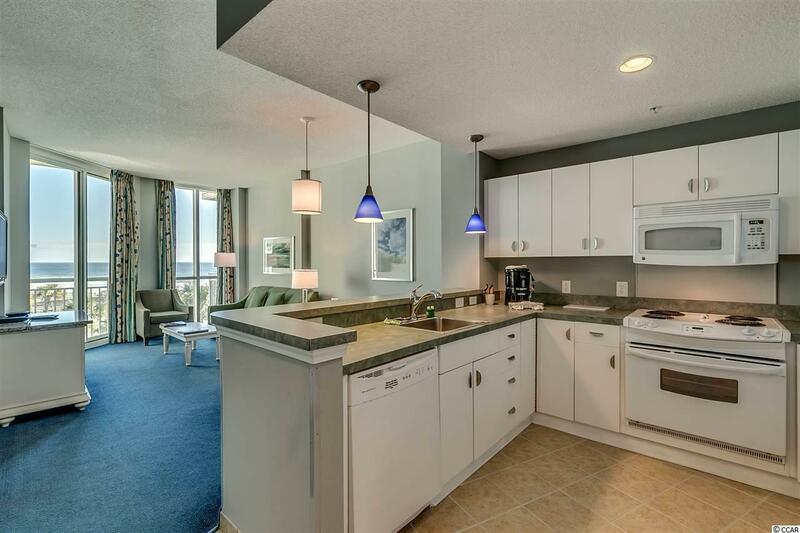 These direct oceanfront double-bay 2 BR's rarely come on the market so take advantage of the rising resort market prices and purchase your own piece of paradise today!